People who suffer with chronic pain, typically defined as lasting three to six months, have a much reduced quality of life as each day can be a painful struggle. The pain can range from mild to excruciating, and be persistent or on and off. The pain may limit a person’s movements and daily activities or can be totally incapacitating. At the point where pain has become chronic, the sufferer may have tried a number of approaches, but typically not remote energy healing. Some treatments used for chronic pain include medications, acupuncture, electrical stimulation, nerve blocks, or surgery. Alternative approaches can include chiropractic, massage, biofeedback, relaxation therapy, hypnotherapy, aromatherapy, physical therapy, psychotherapy, nutritional supplements, among others. One powerful but less appreciated approach to addressing chronic pain is energy healing, both remotely and in person. 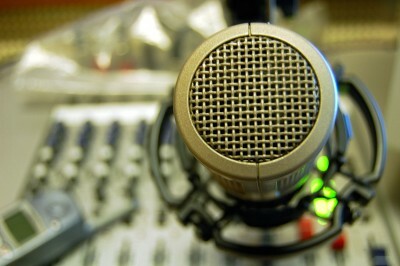 When I speak with clients over the phone, I can read their complete energy system from their voice. 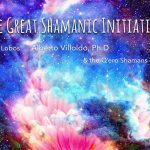 With that information I can access and clear their imbalances and energy issues and restore their vital life force and associated health and sense of wellness. At its most basic level everything is energy, and the infrastructure of our bodies is energetic as well. We have energy meridians connected to our major organs, chakras, and an aura or biofield that together directly impact our health. Any physical, emotional or psychological issue has an associated imbalance somewhere in our energy system. Chronic pain is certainly no exception. It will present itself in any one of a number of ways. There may be blocked energy, excess or deficient energy, and energy may be locked, frozen, disrupted, distorted, trapped, stuck and many more types of specific imbalances in one’s meridians, chakras, or aura. A detailed energy assessment done by phone can determine if any such imbalances exist and where they’re located. Any subconscious resistance to healing and relief can be picked up and addressed as well. And distance is no factor, as energy work is just as effective and authentic done remotely around the globe as in person. 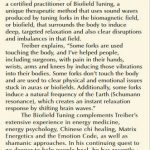 A variety of energy techniques can then systematically address those imbalances and often provide relief to chronic pain sufferers even of a longstanding nature. I’ve seen many examples of this among my own clients. As my testimonials describe, I’ve had clients with chronic headaches, hip pain, bunion pain, back pain, kidney pain, tendonitis, acid reflux, bursitis, tendonitis, stomach and digestive discomfort among other examples completely clear after one or more energy sessions. Distance Energy work should definitely be considered by people suffering chronic pain, as it has demonstrated its powerful benefits in countless situations.